California has its first-ever Wine Czar. Flying through the nomination confirmation process with nary a hitch, William Jefferson Clinton was officially sworn into office on the steps of the Capitol Building in Sacramento yesterday by Governor Arnold Schwarzenegger. “It is truly an honor to have a former president of the United States serving as an official in our wonderful state,” declared the Governator. “I am particularly pleased that the confirmation process moved smoothly and swiftly. It is too bad that my other agenda cannot do the same,” he joked. The position of Wine Czar will demand that Clinton spend most of his time in California. A reporter pointed out that he will be on opposite ends of the nation from his wife, presidential candidate Hillary Clinton. “That’s just a sacrifice I will have to bear in the name of the job,” Clinton replied, unable to control his enthusiasm. “I am not only very pleased and happy for our incredible wine industry,” added Governor Schwarzenegger, “but for my personal self as well. Slick Willie here,” he said while motioning to the ex-president, “is even more of a ladies man than I am. I think this is the beginning of a beautiful friendship,” he laughed. “We are just two wild and crazy guys!” Clinton chimed in. ***Grape personification department: The following excerpt is an entry from the Oxford Companion to Wine, 3rd Edition, edited by Jancis Robinson. I thought it was kind of funny given today's fictitious post (but the excerpt below is for real). Monica: red grape variety grown in great quantity on SARDEGNA, where some varietal Monica di Sardegna is thus labeled. It is thought to have originated in Spain (although it is not known in modern Spain). Its wines are generally undistinguished and should be drunk young, although more recent wines from the Santadi co-operative suggest that with yields lower than the current 15 tonnes/ha, Monica could be a pleasurable, if not always memorable, wine. 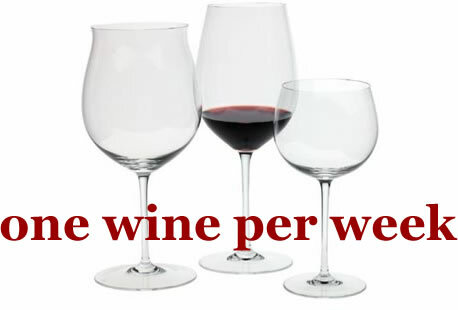 ***Tomorrow: back to reality with the review of the one wine per this week, and it's a good one.